Relocating to a new house is stressful enough without having to worry about the logistics of an entire move. So when it comes to the heavy-lifting (literally), leave it to the professionals — professional movers, that is. Experienced Nanaimo, BC moving companies consist of expert movers and packers who can efficiently pack, move and assemble your Nanaimo belongings to ensure that you get off to a good start in your new home! 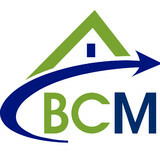 Vancouver most experienced, trusted and respected movers. Our Vancouver moving specialists work with clients to plan every element of the move with an unsurpassed combination of experienced professionals, competitive pricing and firm commitment to customer satisfaction. 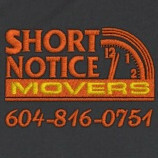 Local Vancouver Movers With over 30 years of moving experience! Our Vancouver movers will show you how they take pride in every move. 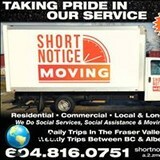 When you move with Short Notice Movers you will see why we are different from other Vancouver moving companies. Our movers take pride in moving your furniture, boxes, and household goods . 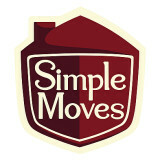 Big Vancouver moving companies cannot compare with the personalized moving services you will get from us! Your local Relocation Specialists proudly serving the North Shore, Greater Vancouver Area, and Lower Mainland. In 2015, Eazy Moves Vancouver was founded by Zandri Botha on the basis of Integrity, Reliability & Equality. Along with her extensive knowledge of working in the moving, construction, and landscaping industries, Zandri & her team use their past life experiences as locals, travelers & immigrants to provide you with an eazZy and stress-free moving experience. Whether your move or relocation is small or large, if you are downsizing, need help with packing + unpacking, or need to move with delicate or specialty items - you can rely on us to make your move stress-free, safe, and affordable! We provide a phone or in-home estimate at no charge so you can be assured that your move will go exactly as planned. Since our launch, Eazy Moves Vancouver has grown from servicing only residential clients, to include commercial and film in early 2016. Our team of dedicated professionals are committed to providing the highest quality of customer service, with each Relocation Specialist trained and focused on their commitment to service excellence, professionalism and integrity. Together, we combine our expertise working in the moving, trades, construction, landscaping and hospitality industries to provide our clients with a well-rounded and professional service, without breaking the bank! We rent low-cost moving boxes and supplies delivered to your door! Gorilla boxes are the low-cost environmentally friendly, hassle free way, to pack your things for your next move! We offer box rentals at affordable rates along with dollies, bubble wrap, wardrobe boxes, plus all orders come with free box-ties, labels and marker. Box packages starting at $58 All delivered free direct to your door! Order online! Combining years of experience with a dedication to client satisfaction, Rainforest Moving and Storage has established itself as the local leader in Residential Moving, Moving and Local Moving. We offer full-service moves and white glove delivery within Metro Vancouver and to locations across British Columbia and Washington. We can safely handle and assemble designer furniture, antiques and art. We remove all packaging and dunnage so your customer is only left with a picture perfect space. I have been moving all my life. As a teenager I learned the business working with my father. As I got older I had no doubt that owning a moving company was what I wanted to do. 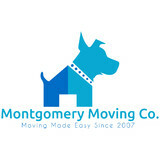 Many clients call back for a 2nd, 3rd or 4th move with us. I honestly love what I do and it shows. The physical labor is what I like the most and after a long day of moving I will normally hit the gym for a while before going home for the night. Favorite kind of move: apartments- the higher, the better. Especially in the downtown core. I like working with elevators and love the challenge of working with higher end items that need the extra care of a professional mover. Not to mention the more moves I do, the more people I meet, which is always a bonus. Favorite thing about moving: The fact that every day is different. The places I go, the people I meet, all the interactions I have- there is never a dull moment and never the same office wall to stare at. Also, being a bodybuilder and all, I LOVE to lift heavy things. I like to push my own limits of strength, and every day is a potential new challenge. Hardest move: Moving a stone statue that was 700+ pounds up multiple flights of stairs...a challenge I almost didn’t meet! But 3 men and some time later we were able to get the job done!